Use these workplace tips to turn your internship opportunity into a job offer. Dig in to embrace the pool of knowledge and tips. Learn this workplace tips to turn the tag from an intern to employee. Doing an internship is good, but turning that internship into a job opportunity is even better. It is not that hard to prove your mettle and walk the mile from intern to employee. You just need to know how to do it right. So, here are a few workplace tips to help you clutch the job you want. Do you enjoy working in the company you are interning it? Do you enjoy your job and the work culture and would want a more permanent position? Let your boss know what you want. Ask questions as to how you can make it the list of “employees”. But, first prove your mettle so that they take you and your work seriously. Be serious about your work. Don’t treat your internship as just an internship but a long interview that can get you the job you want. Show up for work on time. You cannot always be on time, there might be traffic issues or transportation issues, but don’t make it a habit. Your boss will understand if you are late once in a blue moon. Complete your assignments within the given time-frame. Seek help from your boss if you don’t understand anything. Show your employer that you are serious and dedicated and suitable for a more permanent position. Build a strong relationship with your boss and supervisor. The relationship should be based on mutual respect, and not sycophancy. Your employer will be able to look right through you if you are trying to play the favourite card without being serious about it. Be on friendly terms with your co-workers. Treat everyone around you with respect to be admired and respected in return. Ask questions to show your interest in the position. Don’t sit back when you don’t know or understand something. Instead, seek out your friends, co-workers, and boss and get your doubts clear so that you can perform better. This will assure others that you really want the job and are not just playing around. Your keenness to improve yourself and give your best to the job at hand will get you hired if nothing else will. Do all the above, but don’t forget that a company works as a large family. There might be agreements and disagreements but the family has to move together to get anywhere. Showcase your talent as a team-player. That does not mean you need to agree with everything your team says, but that you need to put your idea forth in a respectful manner and make it a debate rather than an argument to make things more productive. Be friendly and prove yourself as a reliable co-worker. Now that you have these great workplace tips to help you, you can employ them on your current or future internships to get that much-awaited job offer. 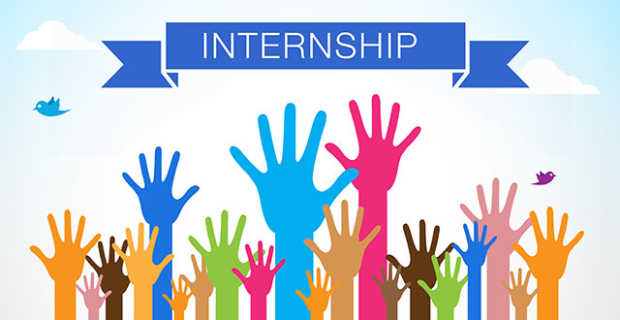 You can further look for an internship that interests you and which you would like to convert to a full-time job by browsing through internship portals like Letsintern. You can look for virtual internships or summer internships and even winter internships and make the best out of every offer.